The number of young adults living at home with their parents has risen by more than 40 per cent in two decades, a study reveals. More than a quarter of those aged between 20 and 34 are still in their family home. A report by the think-tank Civitas found the share of young adults living at home rose from 19 per cent to nearly 26 per cent between 1998 and 2017. So, is owning your own home a pipe dream out of the reach of most young people? New builds in Northumberland aren’t the most expensive, but it still remains a struggle for first-time buyers in the area. 1/3 of Millennials in the UK will never own a home. The rising costs of housing, the cost of living and commuting all adds up. Some young adults have already ditched their idea of owning a home and plan to rent properties for their whole lives. There are many disadvantages to renting, however, with rising costs, sketchy landlords and the insecurity of staying in the same place for a long time. Ian Lavery, Labour MP for Wansbeck, has strong views on hardship facing young people who want to buy a home of their own. He said: “One of the biggest challenges facing millennials who want to get on the property ladder is the cost of a deposit. “Even with the Help-To-Buy scheme, the majority of young people purchasing houses are only able to do so by borrowing from the bank of Mum and Dad. The minimum percentage of a deposit in the UK is 5% of the property value (if you go through the Help-To-Buy scheme). According to Which? however, the average first-time buyer in Northumberland in 2017 was putting down a deposit of 20%, an average of £28,000. The Help-To-Buy scheme offers an equity loan where the government lends first-time buyers the money to buy a newly-built home. The buyer pays the 5% deposit; the government pays 20% of the fees, leaving the buyer 75% of the mortgage to borrow and repay. However, the scheme has come under scrutiny since its inception in 2013, with more than 40% of those who have used it since its launch on salaries of £50,000 or more. How are young, working-class people going to be able to buy a house with statistics like these proving that it is not being used for its initial purpose? Faye Robertson, an estate agent with Rook Matthews Sayer, said: “There are mixed views on Help-To-Buy. People who are using it are mostly moving to new builds, family homes; they may be biting off more than they can chew. 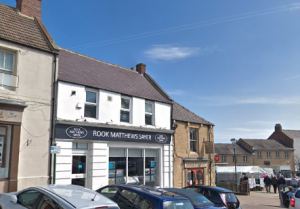 Rook Matthews Sayer, Bedlington branch. Faye and her co-workers also expressed some concern over Brexit and how it would affect housing and even their jobs. 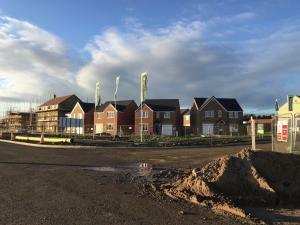 But with only five years left of the Help-To-Buy scheme and the clock ticking down to Brexit day on March 29, big changes to this housing scheme is unlikely. 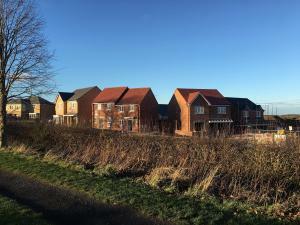 New developments are popping up all around Northumberland, many with Help-To-Buy schemes in place. Ian Lavery said: “Most young people accessing first-time homeownership through these schemes are middle class, usually dependent on family financial support. It is hardly surprising to know that there were 618,000 more young adults living with their parents in 2015 than in 1996. That’s 3.3 million compared with 2.7 million. Young adults are more likely now to live with their parents during and after their higher education. Living with financially stable parents may mean a low board payment and the availability to work and save without losing money by renting privately. 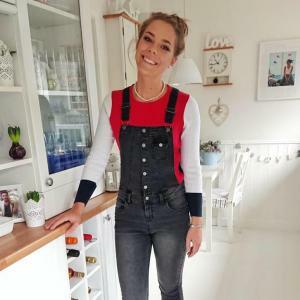 Olivia Dixon, a 25-year-old teacher from Gateshead, still lives at home with her mother as she saves to buy a house for the first time with her fiancé. Olivia pictured at the house she shares with her mother. Youth Homeless North East (YHNE) recently conducted their annual report, showing that homelessness in young people has gradually decreased since February 2016. However, only a third of those seeking help received support from their local authorities. Dr Adele Irving, Senior Lecturer of Criminology at Northumbria University, discussed this shocking figure in the report. YHNE seeks to create a better solution than temporary accommodation, working harder with local authorities, schools and parents to prevent homelessness in young people. They found that the main cause of youth homelessness in the North East is due to parents no longer willing to accommodate their children. 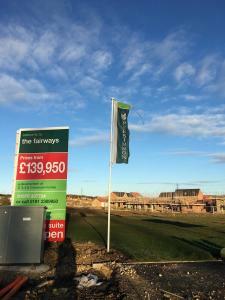 The Fairways is a new estate built in Cramlington, Northumberland, by Persimmon Homes. Prices begin at £139,950 for a semi-detached, two-bedroom home. Persimmon does offer the Help-To-Buy scheme, with a deposit of just 5%, but by comparing this to the average price of a home in the 1980s, this is a whopping £100,000 more than 40 years ago. Persimmon did not reply to any enquires about an interview. It seems that millennials will continue to struggle to get onto the property ladder, and who knows what will be on offer to help after the Help-To-Buy scheme is finished. Will we have enough space in the cities for more high-rise buildings? What will happen to even younger generations to come?